Over the past year or so, cat furniture has reached new heights. Every time we blink, a delightfully ridiculous new high-end offering appears. While treating your cat as a member of the family has long been a given, from what we're seeing, kitty's quality of life is only on the up-and-up. In March 2017, the 9 Lives Design Show took place at Singapore Design Week. It was entirely devoted to showcasing the work of feline-focused designers. 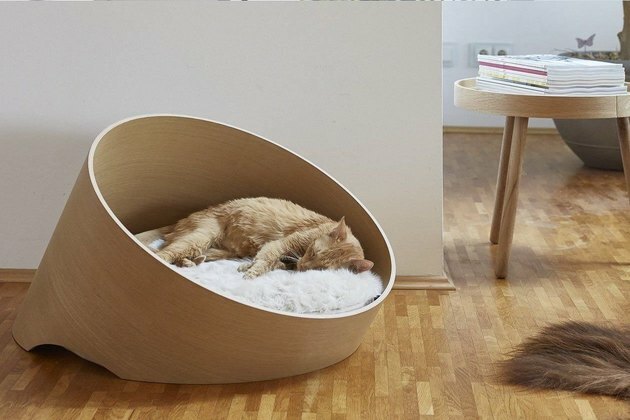 And then there's the cat furniture that matches your own. Japanese craft collective Okawa Kagu makes it, and so do some Etsy sellers. If this furniture is any indication, kitty will be the new master of the house before you know it — so step aside, peasant! 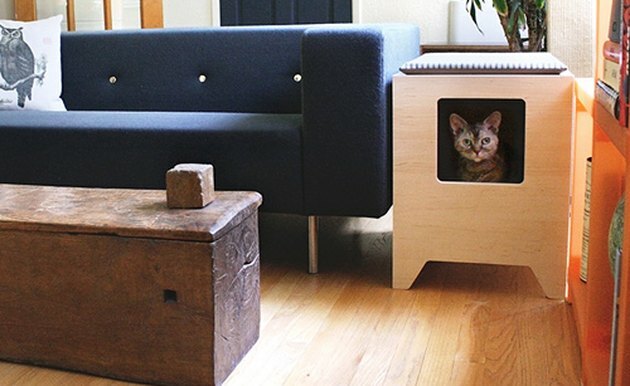 New furniture options to hide your cat's litter box are popping up left and right. 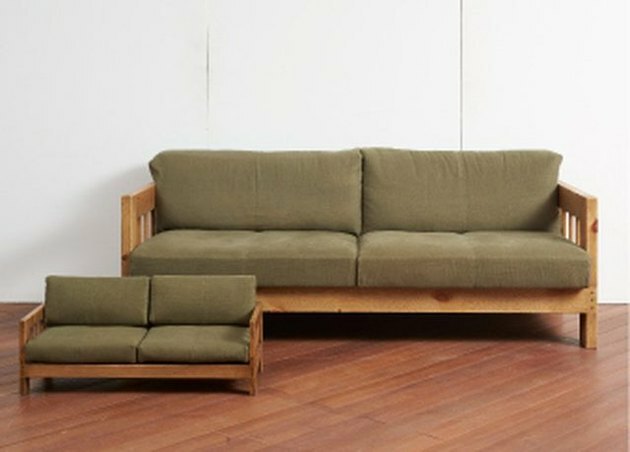 They're great for city-dwellers lacking square footage, and can match the quality of the furniture in the rest of your home these days, too. And finally, there's the whole lineup of bougie cat furniture brands we keep discovering. 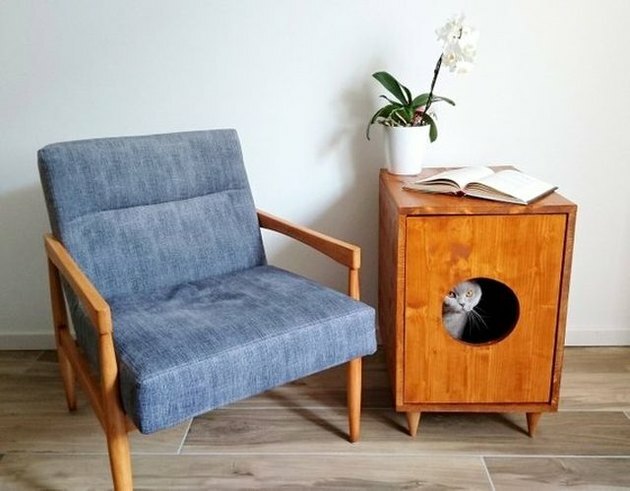 On the topic of litter box furniture, made-in-the-U.S.A.-brand Curio is of note — San Francisco couple Heather and Damian began selling modern litter box enclosures after they noticed a gap in the market back in 2012. Their products can be purchased directly, but are also carried by retailers like Wayfair and Walmart. German dog and cat furniture and accessories manufacturer MiaCara is a heavy-hitter in the luxury pet furniture world. It's clear to see the quality craftsmanship in their beds, scratching posts, cat trees, and more. MiaCara products can be purchased directly from their site or from retailer Luxtail, but for U.S. shoppers, the quickest delivery time may come from California seller Tuft + Paw, as their warehouse is in the States. And have you ever heard of Catastrophic Creations? It's a company out of Grand Rapids, Michigan manufacturing cat climbing systems to hang up on your walls. The jungle gyms range from simple to thrillingly complex for kitty. 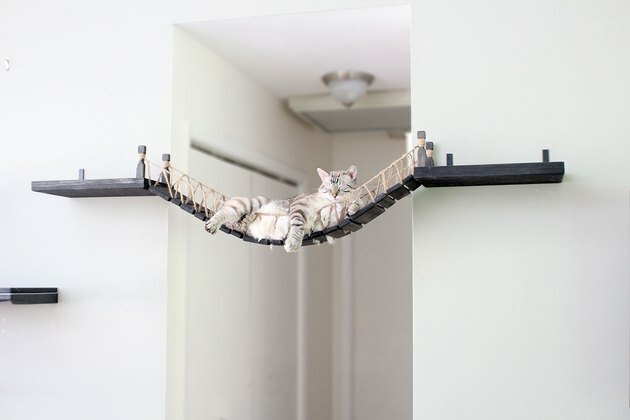 So when it comes to this high-end cat furniture on the rise, all we ask is: Are you prepared to deal with the major cat-titude that may result from spoiling Mittens this much?